ST. PETERSBURG, May 24. /TASS/. Moscow is ready for any kind of developments in Donbass, taking into account the upcoming FIFA World Cup and the Ukrainian presidential election set to be held next year, Russia’s Permanent Representative to the EU Vladimir Chizhov said in an interview with TASS. "We are ready to deal with any kind of developments, given the 2018 FIFA World Cup and the [presidential] election in Ukraine," he said. 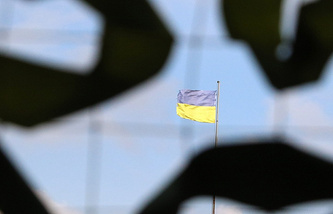 The Ukrainian military has twice attacked the positions of the self-proclaimed Donetsk People’s Republic (DPR) near the city of Gorlovka in the past few days. Both attacks were repulsed. A number of western media outlets said the growing military activities could be aimed at disrupting the FIFA World Cup in Russia.